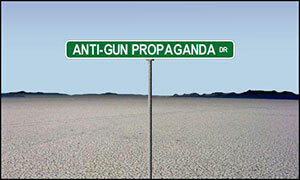 With all of the recent news on "gun violence," the focus in the media and for many government officials is gun control. Many citizens are calling for tight restrictions on firearm ownership, essentially making it possible for only criminals to own weapons. This is true, however, guns don't kill people by themselves. There has to be a person operating the weapon to get it to fire on another person and do harm. Outlawing guns or restricting ownership won't stop violence. Those who want to do harm will find another weapon of choice, or will obtain guns through illegal channels. This is incorrect. If guns were banned, that would just keep the law-abiding citizens from being able to obtain them to protect themselves. Passing a law doesn't stop those who really want to do something from making it happen. For example, methamphetamine production and consumption is illegal, but the meth problem is bigger than it has ever been. Making firearm ownership illegal won't stop criminals from obtaining weapons if they really want them. It will simply make sure that law-abiding citizens are unable to defend themselves and their families. In 2010, the United States Census Bureau reported that there were 308,745,538 residents in the country. That same year, 31,076 people were killed in shootings in the United States, whether intentional or accidental. The huge majority of those crimes were committed by people who obtained firearms through illegal means. 32,788 people were killed in auto fatalities, and that was the lowest number for any year in recent history. That number continues to rise. Out of every 100,000 children in this country, two children will die as a result of child abuse and neglect. Cancer took 569,490 lives in the U.S. in 2010, and over 1.5 million new cases of cancer were reported that year. There are many ways that people can lose their lives; guns are hardly the most dangerous thing we will face in our lives. Guns aren't the problem; people are. Since we can't outlaw people, we need to do a better job of ensuring that the people that shouldn't have access to firearms are unable to obtain firearms. We can't insulate the world and the population from all risks, however, we can take the proper steps to minimize these risks.